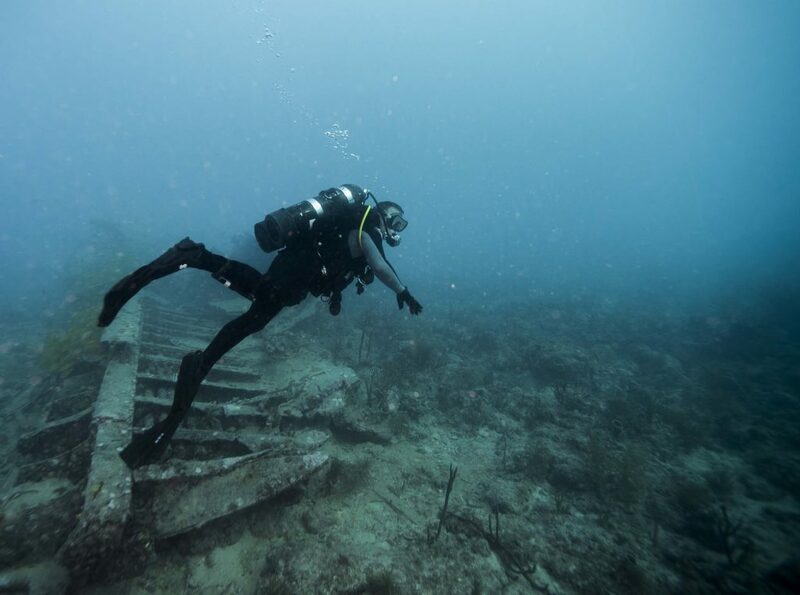 Scuba diving is one of the few adventure sports that lets you enter a completely different environment. 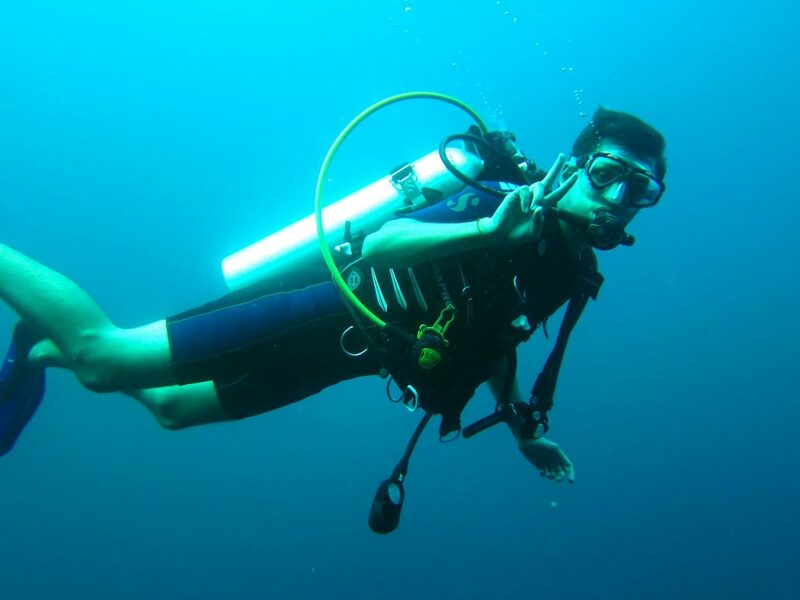 Once you put on your scuba gear, you’ll be able to explore the underwater world just like a fish. You’ll hover over vibrant coral reefs, gazing around you in wonder, chasing schools of fish to see where they go, and enjoy the fun of being weightless. However, scuba diving can be intimidating for a beginner. You’re pretty much enveloped in some very complicated scuba gear, and you’re worried about how you’re going to manage it all. That’s why we’ve made a Scuba 101 list to explain your scuba gear. 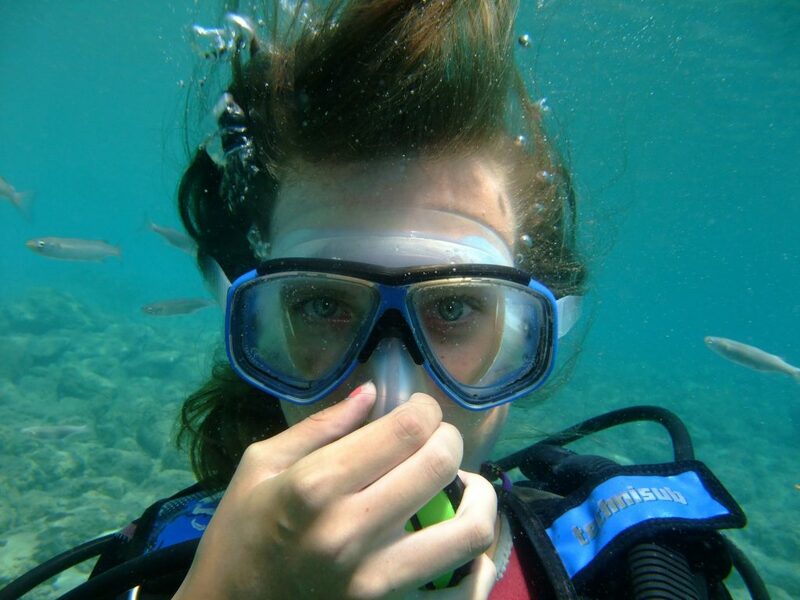 Scuba Diving Mask: The scuba mask is the most basic piece of scuba gear and prevents water from getting in to your eyes or nose. It has a soft rubber skirt that seals against your face, with indents near your nose so you can press your nostrils to equalize ear pressure. If you have long hair, do make sure you’ve tied it back from your face so it doesn’t stray into the mask (it’ll let in water if it does), or get in the way of the straps around the back of your head. Dive Booties/Fins: All scuba diving gear is designed to help you move and function like a fish. Dive fins, or flippers, work like extensions for your feet, to help you move efficiently under the surface. These fins also protect your feet from sharp rocks or coral. They come in two designs – a full foot fin and one with an open heel. When on land, you might have some trouble coordinating with such ‘long feet’, but in the water, you’ll be able to propel yourself easily. If you use fins, you’ll be able to use less energy (and less air supply) when you dive, thus enabling you to do a longer dive. 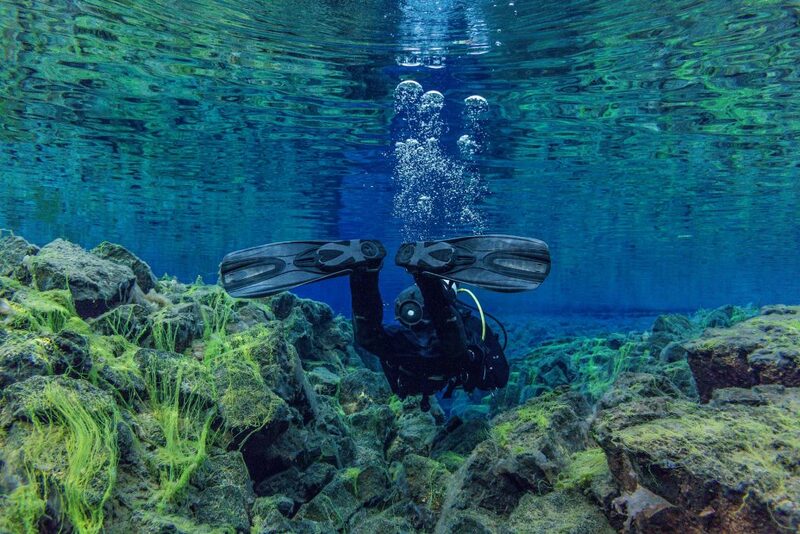 Wetsuits/Dive Skins – A wetsuit is made from neoprene and has to fit you snugly. The neoprene traps water against your skin so it is warmed by the heat from your body, keeping you warm when you’re submerged. Wetsuits can come in two sizes: full length for cooler temperatures, and short sleeved knee-length suits for warmer dives. 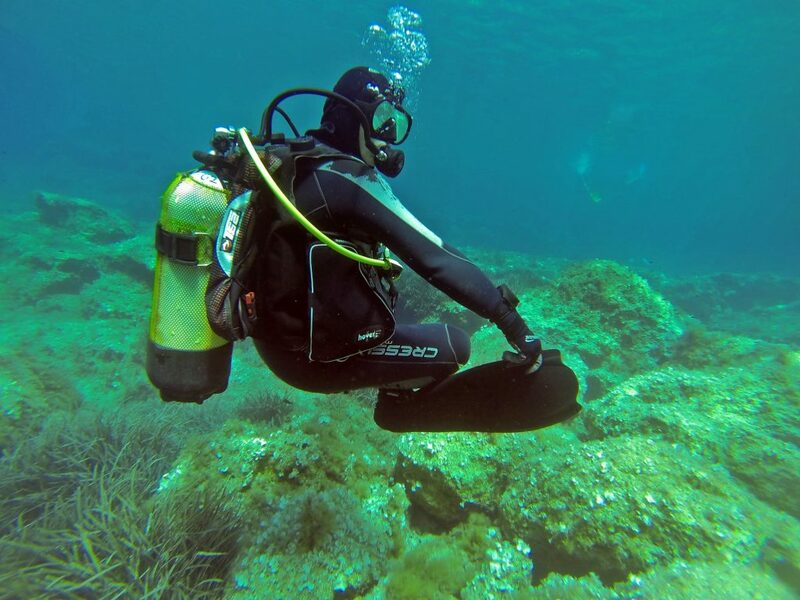 Buoyancy Control Device (BCD): A BCD is a sleeveless jacket that you strap tightly to your body. It can be inflated by the press of a button (or manually, with a mouthpiece), and will rise when inflated, carrying you with it. You can inflate or deflate your BCD to control your depth in the water. Scuba Tank: The largest piece of scuba gear is the scuba tank. It’s filled with compressed air, and has outlets that lead into your breathing apparatus. The scuba tank is attached to your BCD, and will feel very heavy on land, but is weightless in water. Weight Belt/Weights – When you breathe underwater, and your lungs fill with air, you’re going to float upwards. To help you descend and stay there, you’ll be given weights to wear on a belt around your waist. Diving Regulator: The regulator is a complex piece of scuba gear that looks like an octopus, with long, waving tubes coming out of a central section. The diving regulator goes into your mouth, and converts the pressurized gas from the cylinder to the right pressure for you to breathe. It links many pieces of gear: your scuba tank to the BCD, the pressure gauge (SPG), alternate air source and you. Pressure Gauge: The pressure gauge is an important part of your diving regulator, and will tell you how much air you have left, and how deep you are or how deep you went. Even the most basic certification will teach you how to read the pressure gauge. There are some other important pieces of scuba gear, like a dive computer, but you will not need to know about these for the most basic scuba dives or courses. 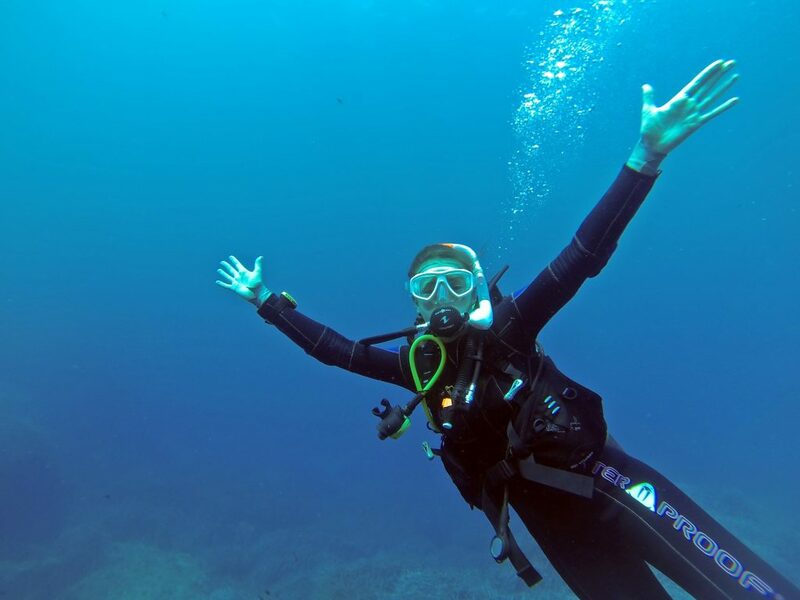 Do note that you don’t need to buy or own any scuba equipment to go diving. Your operator will ask for your size and weight before the trip, and will make sure you’re fully outfitted with everything you need. It’s natural to feel nervous before your first dive; after all, you’re re-learning everything you know about breathing and moving. But all you have to do is follow the instructions, breathe calmly, and make the most of your wonderful scuba diving experience. When's the best season to visit the Valley of Flowers?